I can’t even believe we are officially two weeks away from Thanksgiving. We’ve been so busy getting our learn on in kindergarten that I’ve just lost track of time. I’m so pleased with the progress my kinders have made so far. We have had a lot of changes this year but the biggest change has been our transition to all-day/every day kindergarten. In the past we’ve had half day, then we went to rotating full days and then 2 full days and a half day a week. Whew…glad that’s all over. Its been quite different this year but overall the transition has been amazing. I honestly don’t know how we did it before. It was always rush, rush, rush. I’m just so excited that we finally have time to let them develop their learning at a “more” appropriate pace. In all honesty though, it still feels like there isn’t enough time. When I sit back and really think about the amount of time that these kids are focused and on task, I can’t help but feel ashamed for redirecting those few little hiccups during the day. I mean I can’t really blame them. We expect so, so much of these little ones. Kids are truly amazing. Especially those sweet five year olds that work harder than anyone I know. All but a couple of my students have their letters and sounds mastered…and it’s the beginning of November. Their writing is leaps and bounds ahead of where its ever been at this point of the year, AND they are all readers. Real readers. 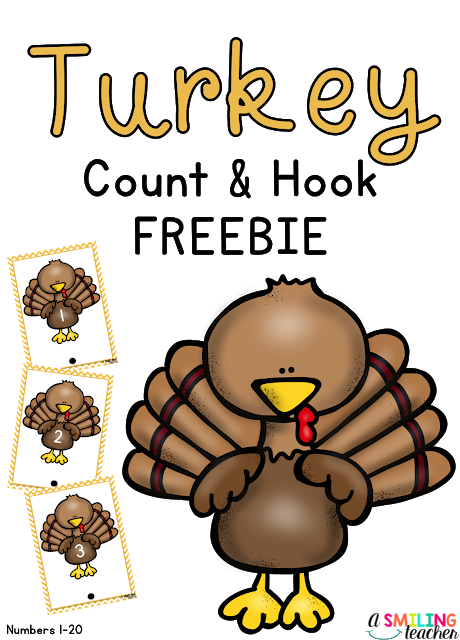 Of course like everyone else we’ve been obsessed with turkey’s since November 1st. Obsessed isn’t even an exaggeration. We love turkeys. We’ve been getting our turkey fix during math stations for sure. 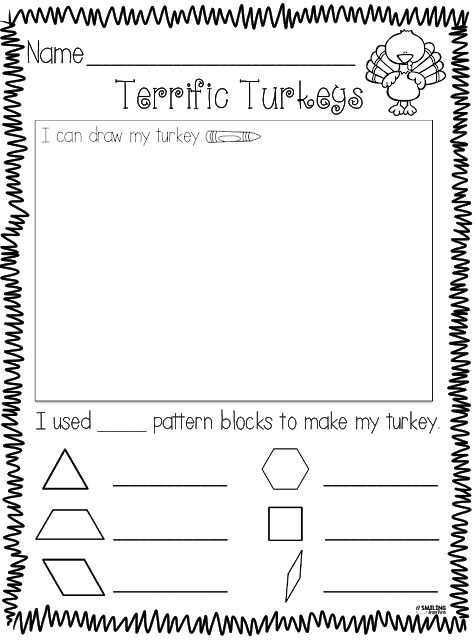 Our pattern blocks have been put to good use creating one of a kind turkeys! Students have to arrange the blocks, trace and color. Of course there is some counting thrown in there too! They’ve been loving this station. 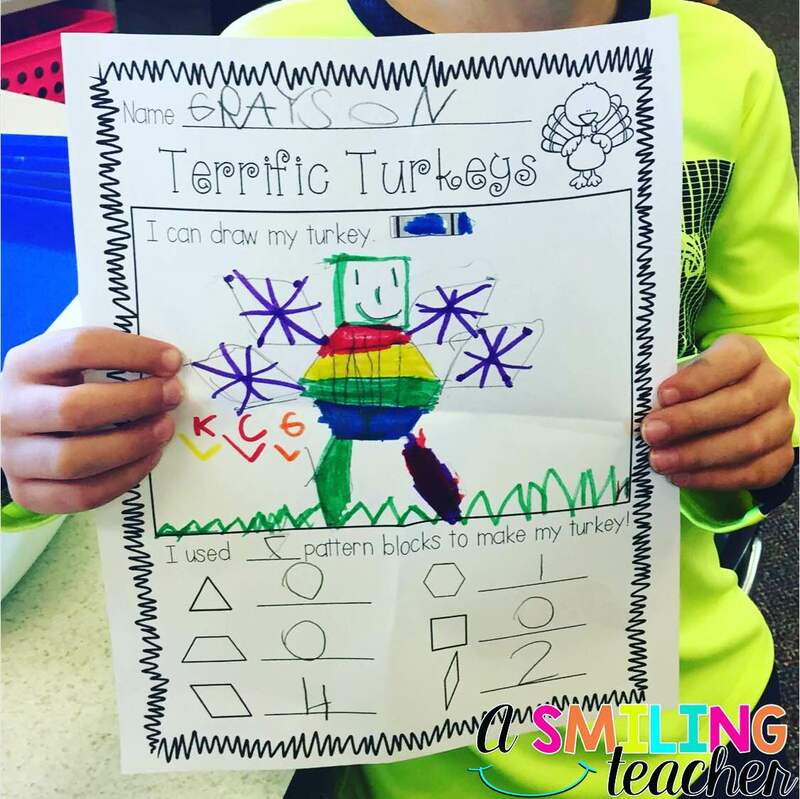 Isn’t his turkey just adorable?! We’ve also been chugging along with counting. Practice, practice and more practice makes really great counters! 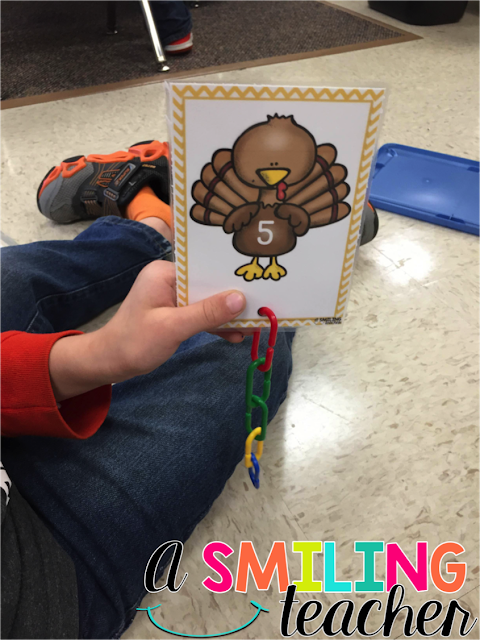 My kids love putting the links on the turkeys. 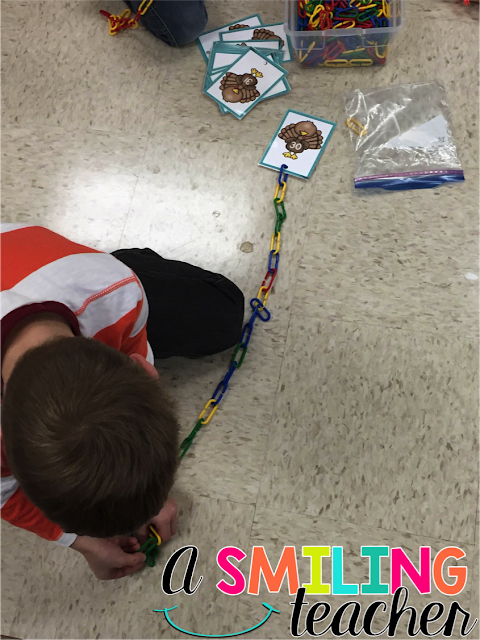 This station is great because not only does it help build number sense, it also supports those kiddos that need to strengthen their motor skills. Many of my students are working on building larger numbers so I made three levels to support all of their needs. You can get all 3 levels of this station here. You can also try level one out for free below! 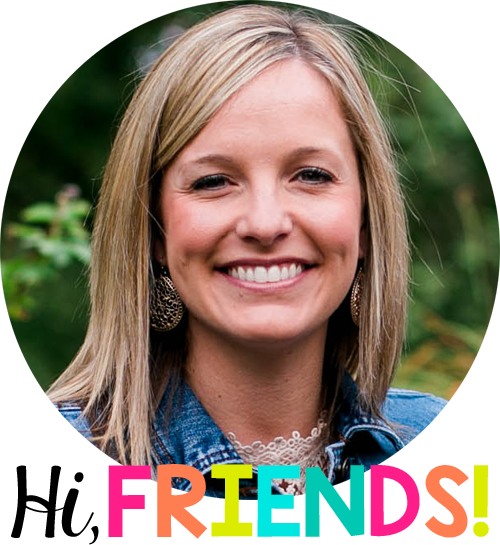 I’d love to see pictures of them in action in your classroom!